I was wondering, if it was possible honoring the first aces of the Great War in building their planes. 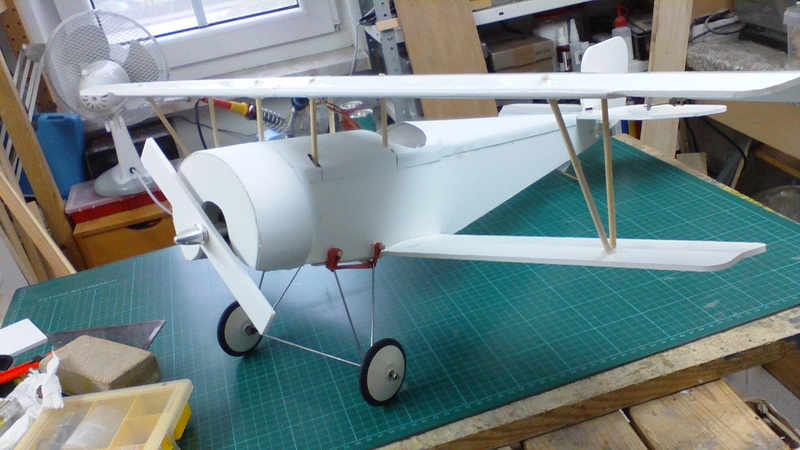 This could be the Fokker E-III, Nieuport 11 and D.H. 2. 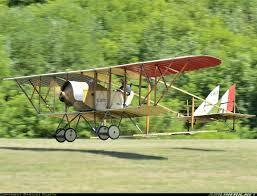 The Fokker looked easy, the Nieuport 11 more demanding and the D.H. 2 quite challenging. I liked to get them in the 2826 1200 KV 3 Cell 1300 mAh class, simple T9g servos 4 channel radio. If all works well, I will draw the plans and show the build. This picture was made after an uneventful first flight. Some decoration is still missing. Weight is 730 gr. The wheels should be 70 mm instead of 50 mm, but I could only find expencive Williams wheels in 70 mm. 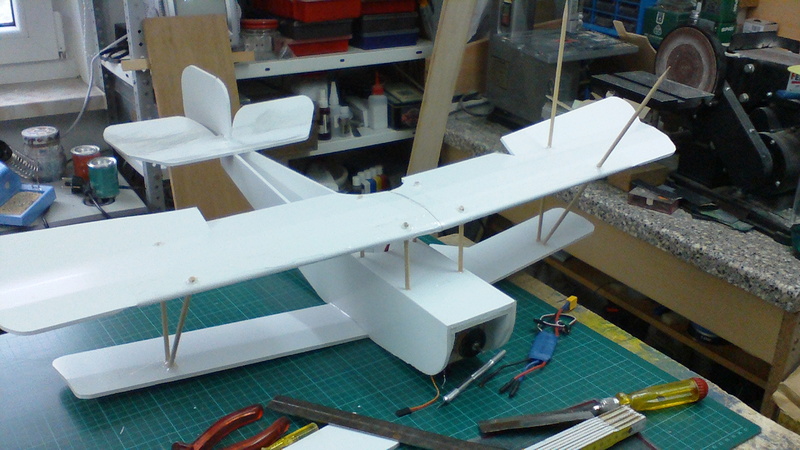 The landing gear is a really complicated bend, but works surprisingly fine. Maybee I find a simple solution. Gun and siluette pilot will be added soon. My foamboard is a bit heavier as Fitetestfoam. To counter this, I used this heavier motor, which works fine with a 9 x 3.8 prop. Well done! That looks excellent! Do you get any noise from that cowling being so close to the motor? 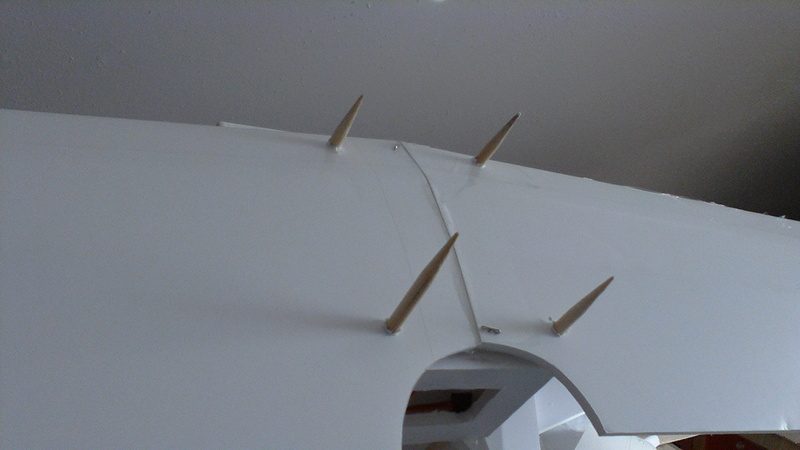 The prop is turning 7 mm ahead of the cowling. 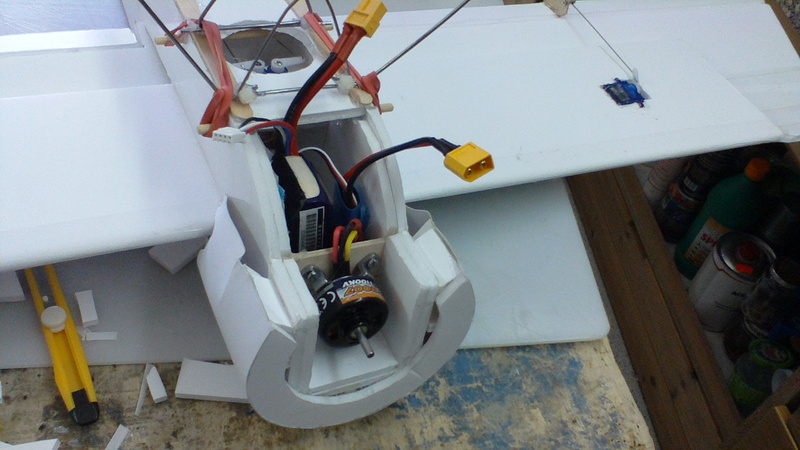 The motor is only 1100 KV and runs with that slowfly prop very silently. The first of the three is now finished. You can choose, whether Immelmann or Boelke is sitting behind the controls, aiming over the single Spandau MG.
Great Stuff. Love to see it fly. Nice work Werner! That looks fantastic. 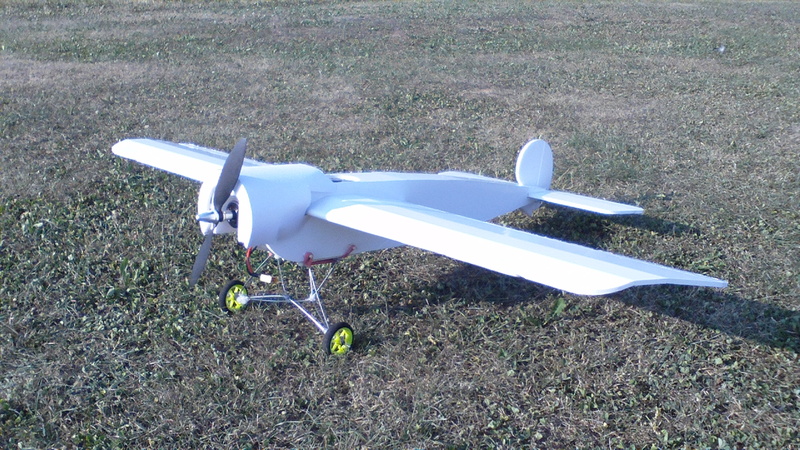 The next plane is now waiting for testflight. 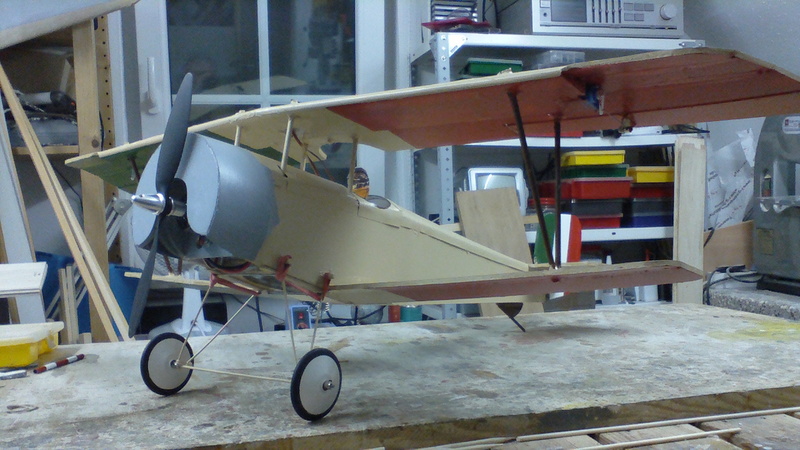 It resembles a Nieuport 11. 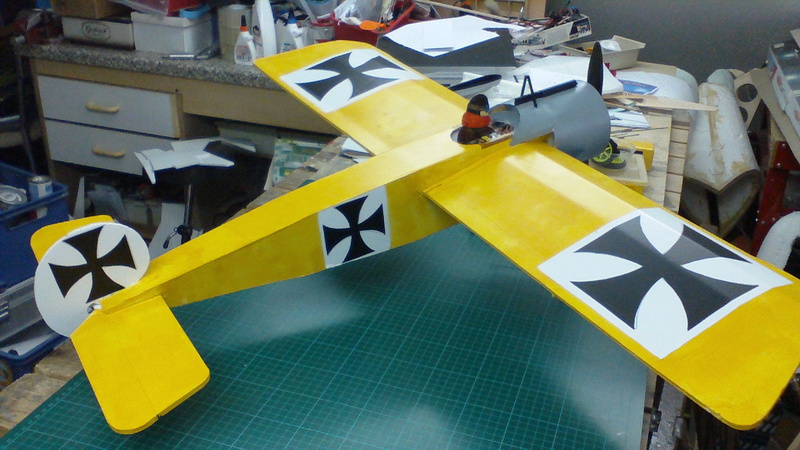 If it flys well, I will do it in early Italian markings, very colorful and no roundels. Weight is 736 gr and the CG looks promising. Wow! Love the Nieuport. Great work capturing the look. I'd say you nailed it. I used 5 mm bamboo barbeque skewers. Looking to the wings now, 4 mm could be sufficient. Pushing them through is really wired. Will you be doing plans for all of these? I'd love to build that neuiport. The answer is: If it flys well, yes. My holidays end to today, so the it will last longer from now on. if you accept suggestions, i have one. a very uncommon ww1 plane called the Caudron G.3. 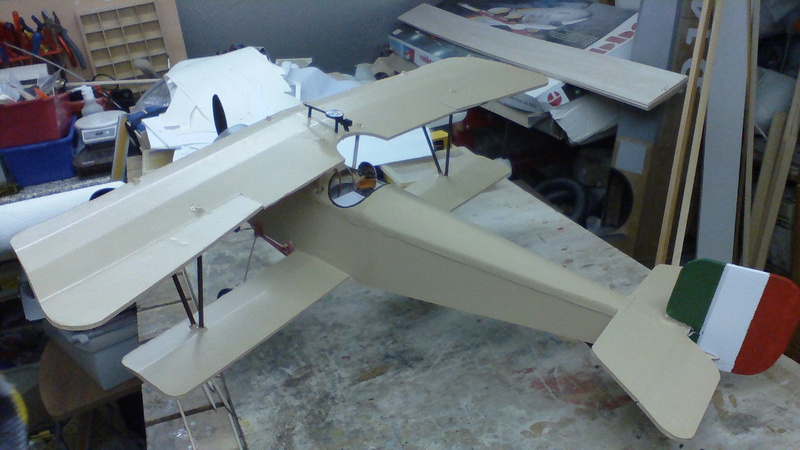 This plane could be made with a dtfb fuselage nacelle and you could use balsa stock or dowels to make the tail booms. if you find the name of a pilot who became an ace in this machine, I promise I will do one. 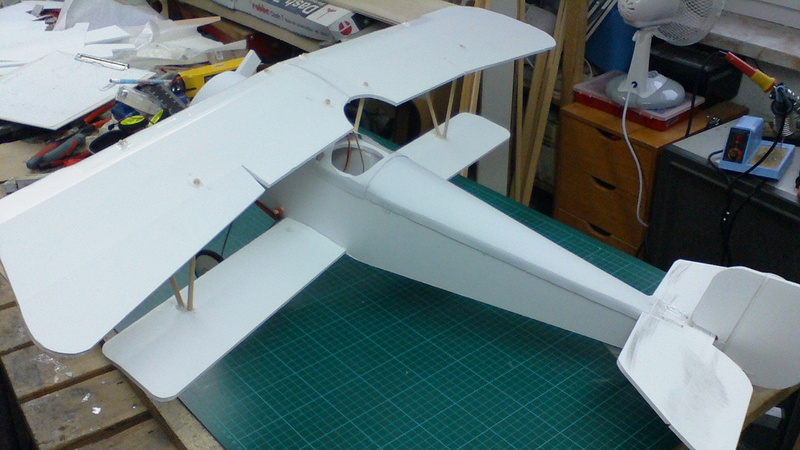 Let me fly the De Havilland D.H. 2 first. This is already a nightmare of struts. Very nice builds.I can't wait to see that Neuport painted! Proudly present: FB Baby in Italian colours. At first I had my trimms wrong but sorted it out soon. As you can see, the FB Baby is not very floaty.